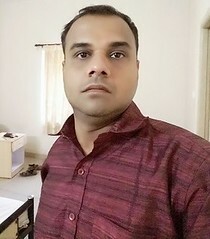 I am Manoj; a writer from India who contributes to leading news portals, blogs, and journals on various subjects including technology, current affairs, entertainment, sports, health, blogging tips, computer tips, smartphones, apps and others. I am in the blogging sector for the last many years and wrote contents across the websites in this period. As you know, mere writing is not enough to gain traffic and popularity on the web. We should effectively market the products to the public to unlock the success. I follow several methods and use various tools to promote contents on the social sites. I am familiar with leading social networks like Facebook, Twitter, LinkedIn, Pinterest, StumbleUpon, Instagram, and others. I belong to dozens of social media communities which are the best places to market our contents or products. So I can offer you the following services at affordable rates.